Intelligent Prefab using IoT Technology guarantees added speed, efficiency and quality from offsite manufacturing, to delivery and onsite assembly. Prefabrication of building elements is a concept that has been around for centuries, tracing back to ancient Rome when they used prefab materials to build forts during the siege of Britain. In 1854-56 Scottish firm Robertson & Lister brought prefabricated elements from Glasgow to Australia for the Corio Villa in Geelong. These days, structural components are built in factories and assembled on-site. Prefab is a building process that never really goes away, and by the looks of it, prefab is here to stay thanks to smarter building and construction technologies. The Internet of Things (IoT) is changing the building and construction industry. Using smart sensors and devices to gather data, every process in the supply chain of prefabricated building elements results in an increase in productivity, on-time project completion, less waste, and more. Intelligent Prefab using IoT helps you connect the dots in real time. With Augmented Reality, architects can share design models and layouts to Prefab Suppliers to have a better grasp of the project even before the building starts. Innovative VR Company Viz360 creates VR tours and 3D model viewers based on floor plans or 3D CAD models. Their ultra-realistic and game-like Virtual 3D model is published on a custom website or optionally, on mobile and VR Headset apps. Logistics is one of the major concerns in using Prefab. With radio-frequency identification (RFID) attached to prefab elements, stakeholders are in the loop on where prefab parts are in the supply chain and the estimated time of arrival to the construction site. RFID data can help mitigate delays, track where prefab parts are kept and monitor the part's performance. Building what architects did not specify, what homeowners do not want and using overall subpar quality components is a waste of time, effort and materials. With prefab, only 2% of materials end up in landfills, compared to 40% with traditional construction. It can be made even less with smart devices for communication and data sharing to keep everyone in the loop on the specs and materials. Even prefabricated sections need maintenance. Adding sensors on prefab components can help provide real-time data on the structural integrity of a component, even after years after installation. This data provides predictive intelligence on when to schedule maintenance or replacement. Most construction work in Australia is still done on-site, which means that there are more quality and safety concerns compared to prefab, whereby the building is done in a controlled setting. With a scan of an RFID, barcode or Bluetooth sensor, workers can access installation manuals and safety instructions specific to the parts they are working on. 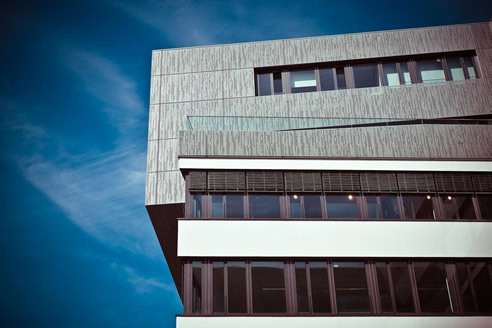 The use of intelligent Prefab using IoT Technology continues to rise in the industry with more developers discovering how off-site construction can help their projects' success. Find out more about Prefab, modular building and the use of IoT in Construction at next year's DesignBUILD Expo at the International Convention Centre in Sydney from 14-16 May 2019. Visit the website for more details.